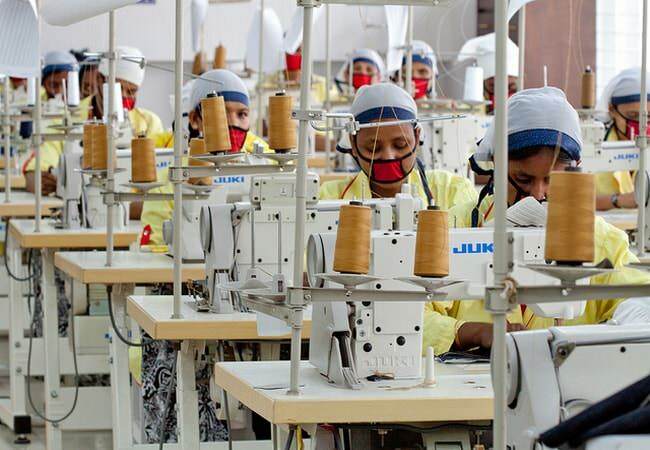 In the apparel manufacturing industry, quality control is practiced right from the initial stage of sourcing raw materials to the stage of final finished garment. For textile and garment industry product, quality is calculated in terms of quality and standard of fibers, yarns, fabric construction, color fastness, surface designs and the final finished garment products. An important tool named “Quality Drill” is used to achieve good quality apparel in manufacturing industry. The total processes of quality drill have discussed in this article. The first point of quality drill is -Ask the sewing operator to stop the work he is doing. Give him stickers to mark defects. Ask the operator to inspect, the bundle in which he is working on, the bundle he has already finished, and the bundle he is going to work on next, based on the quality specifications. This way the operator has the chance to see if the work he is doing is of good quality and also make sure the work he is receiving from the previous operation is not defective. Ask the operator to mark any part that is out of tolerance with the sticker. Ask the operator to do it while standing up and when he is finished she should signal the supervisor that he is ready to have the results evaluated. The supervisor should make sure that the instructions given to operator have been understood and then leave to continue with the regular activities. When the operator has signaled that he has finished, the supervisor returns. The supervisor then proceeds to inspect at random a number of parts of any bundle. If he finds a defect other than those marked by the operator, then the supervisor should separate it and ask the operator why the defect was not identified. If the supervisor did not see any defect in the random check, he turns to the operator and asks the operator to show him the defective parts marked by the operator. If the operator has not found any defects, and the supervisor finds some, he then asks the operator to explain, based on the points described in the quality specification, why he thinks this part is of acceptable quality. If defective parts have been identified then the operator should explain why they are defective based on the points described in the quality specification. If the supervisor notices that the operator is not very clear of what the requirements for his operation are or how to find out if these requirements are met or not, then the quality specification sheet should be reviewed with her point by point. If the supervisor notices that the operator “overlooks” the defects then the supervisor should review with operator, the importance of doing a job properly every time. It is necessary that the supervisor explains the importance of the quality drill to the operators stressing that its sole purpose is to help them improve their quality. The initial resistance by the operators is normal, but as soon as positive results from the exercise are seen, the operator will take the initiative to do the exercise themselves. Quality drill is an approved method in producing good quality apparel. So, you can definitely try it (Quality drill technique) in your manufacturing factory.